Located just five blocks from Plaza Serano this apartment is close to the best nightlife of Buenos Aires, Yet being located at the rear of the building it is also very quiet. The apartment is suprisingly spacious.The living room has a large sofa, dining table and TV with cable. The bedroom has a double bed with ample storage space. There is a complete bathroom and the kitchen is equipped. Going upstairs there is an office or perhaps another sleeping quarter, and beyond this there is a large roof terrace with table and chairs and a barbeque. 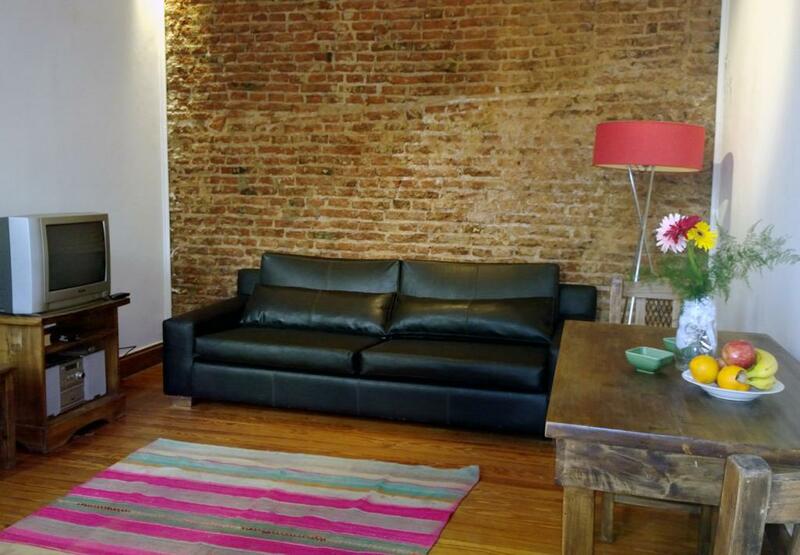 This apartment is in the perfect location for enjoying all that Buenos Aires has to offer. Hardwooden floor. Terrace. Cable TV, HiFI, Stove, Fridge Freezer, Microwave, Barbeque. Heater. AC. Included: Gas, Electricity, Water, expenses and city taxes, telephone ( local calls) and cleaning service once per week.